Study group updates New groups are forming. 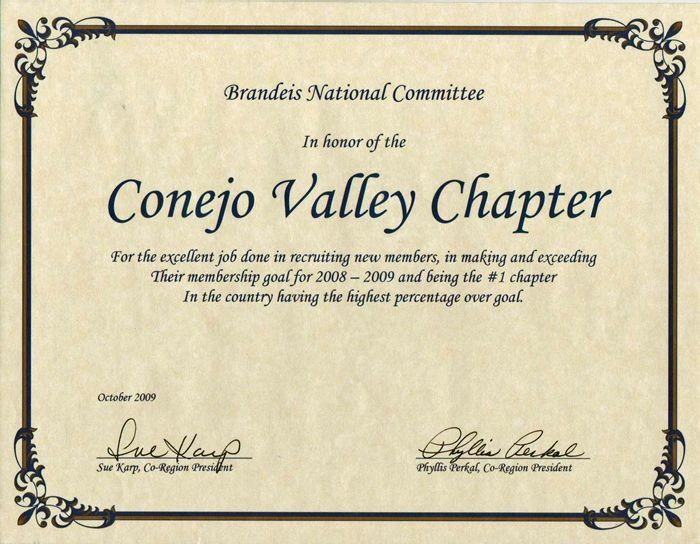 10th Happy Anniversary Brandeis Conejo! Brandeis University was founded in 1948 by members of the American Jewish community and reflects the traditions of scholarship and community service and the commitment to social justice personified by Louis Dembitz Brandeis, the distinguished Supreme Court justice for whom the university is named. The same year that the University was founded, a dynamic and vital fund-raising arm of the University was also founded, the Brandeis University National Women's Committee (BUNWC). 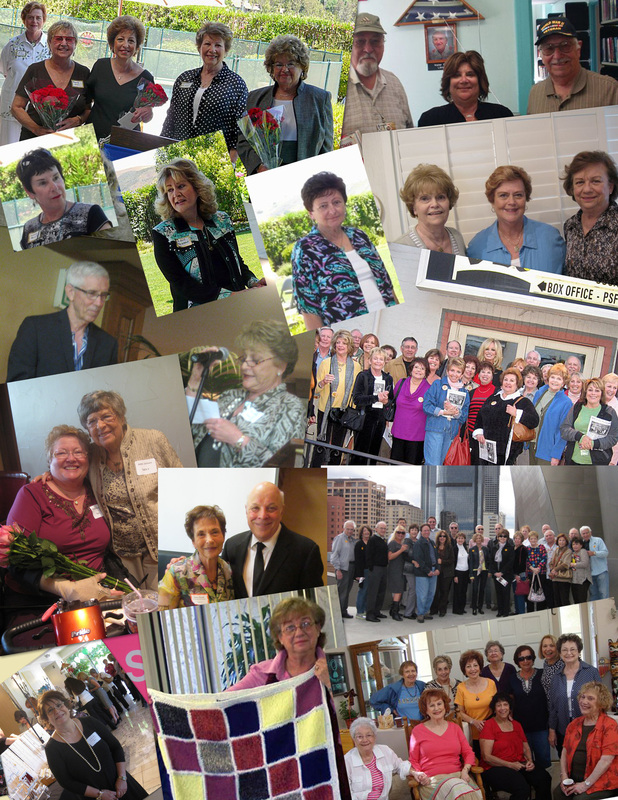 Currently known as Brandeis National Committee, BNC is dedicated to providing philanthropic support for the University. A great university needs a great library and BNC has raised more than $115 million in support of Brandeis University and its libraries. In addition to its 60 year history of support for the library, the mission of BNC includes financial support for student scholarships, medical research and all other areas of this esteemed university. 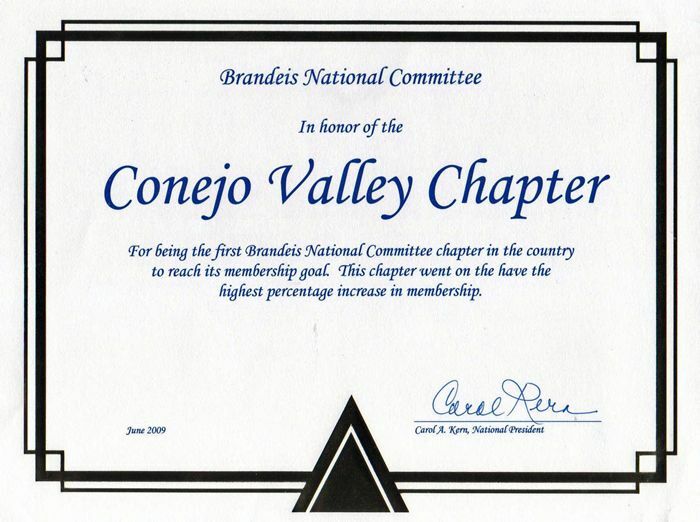 In the Spring of 2005 the Conejo Valley Chapter of BNC was conceived. 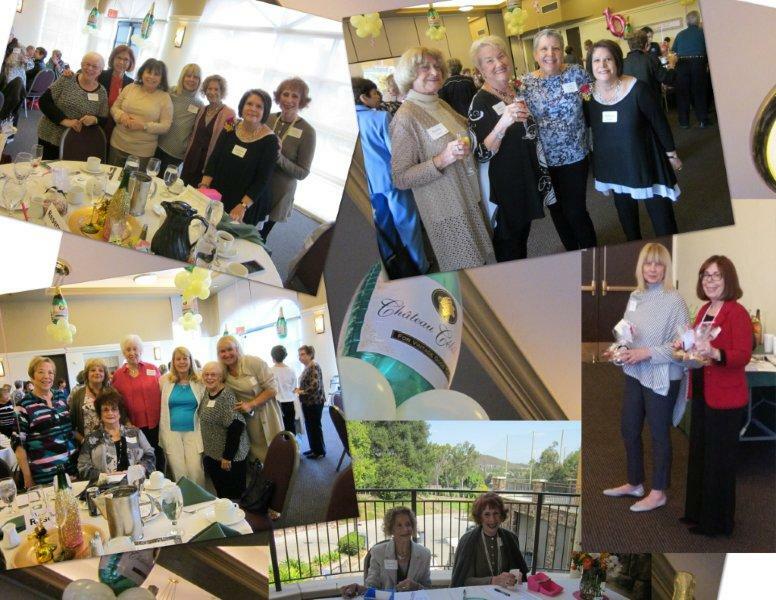 Members of the San Fernando Valley chapter started floating the idea of beginning a new chapter in the Conejo Valley. 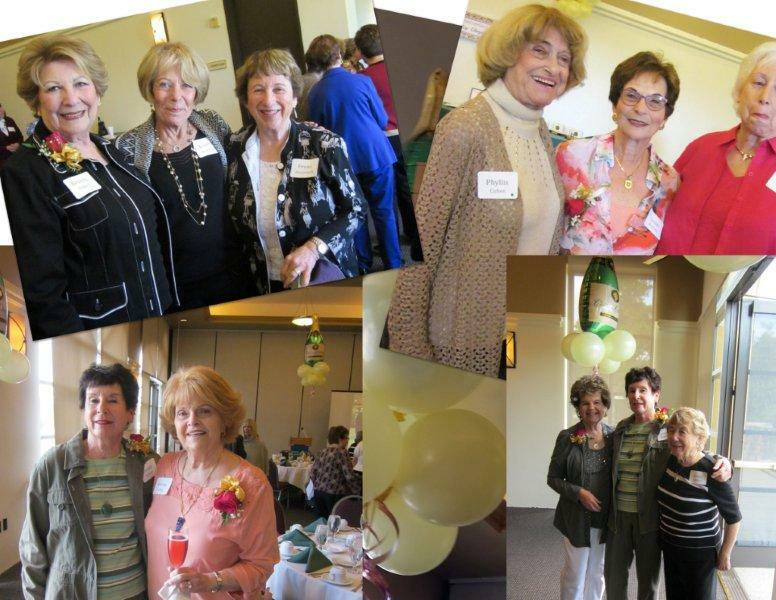 It was felt that there were enough members from the San Fernando Valley Chapter who were now living in the Conejo Valley to support a new chapter. Also, the demographics of the Conejo Valley indicated a large number of "mature" Jewish women who might be interested in joining our organization. A few leaders, believing this to be a viable concept planned a meeting in June of 2005 which attracted 75 women. Representatives from the Western Region attended this meeting to educate us about Brandeis University and the wonderful work that BUNWC (now: "BNC") does to enrich the University. From that meeting a nucleus was formed to give birth to a new chapter. Enthusiastic volunteers offered to serve as officers and we had a board of ten members. We officially became a "chapter in formation". Word spread like wildfire throughout our community about the exciting new organization being formed. 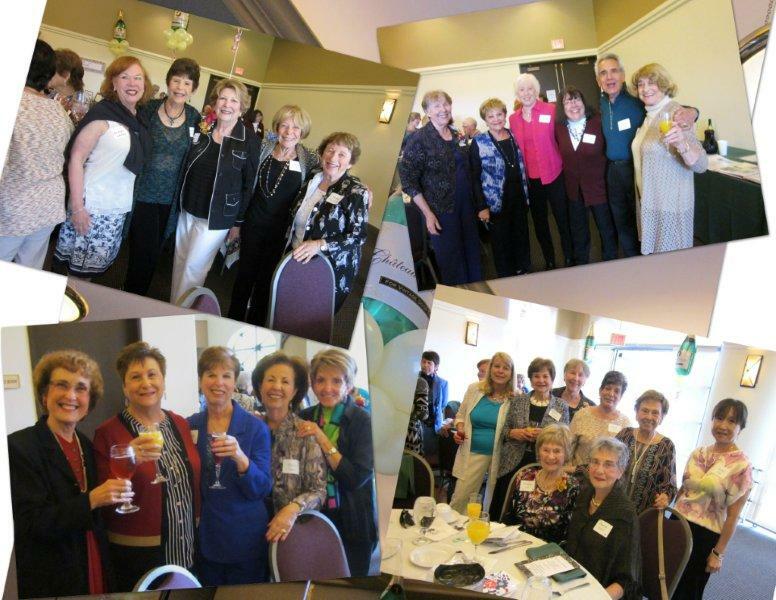 A short nine months after that first meeting our new chapter was officially installed as the 80th chapter of BNC (BUNWC). 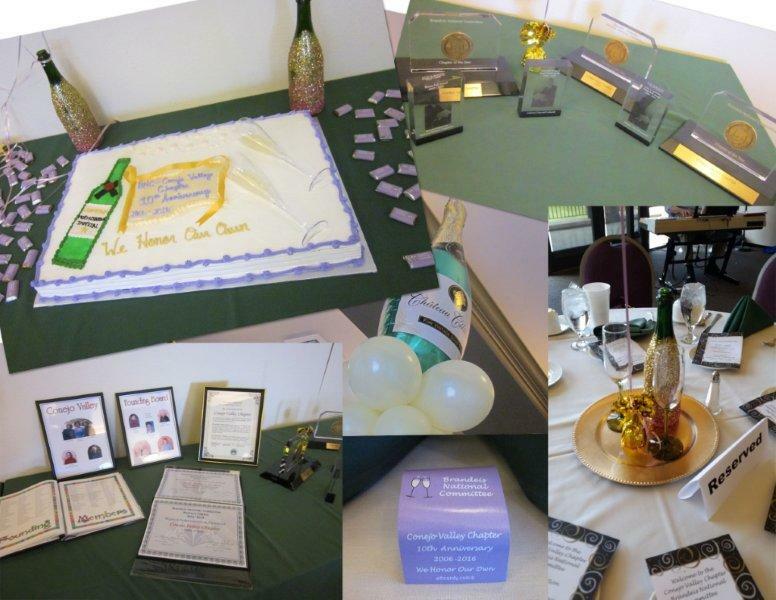 Boasting over 200 members, we more than exceeded the 75 persons required by National to be officially recognized. On April 26, 2006, Jenna Katz, then President of BUNWC Western Region, presented the Charter Certificate to Carrie Mataraza and Honey Bencomo, two of the three founding members of the Presidium. Photos from 2017-2018 Installation of Officers! from the board to thank her for all of the years of service. She is retiring from that position.